We all want to play! These would be so cute hanging from the ceiling! 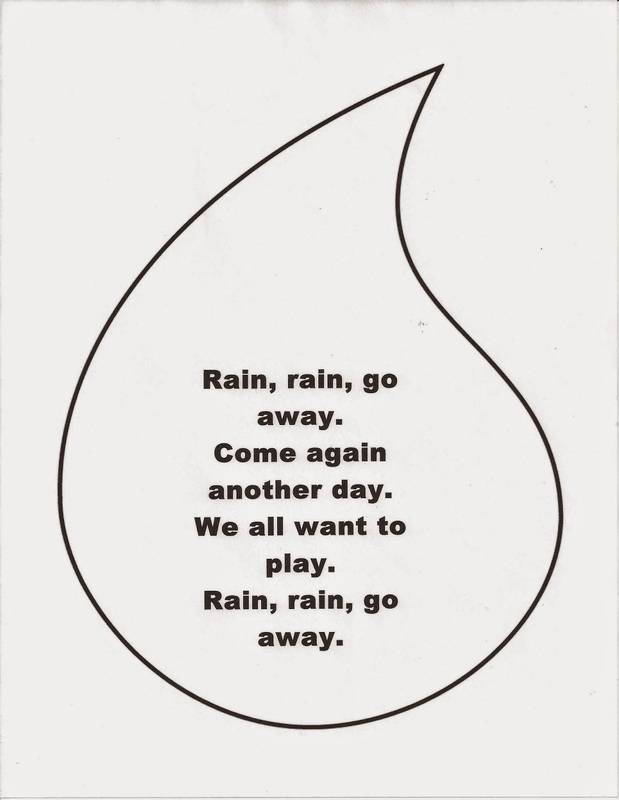 Click HERE to print the raindrop. Print on cardstock and cut it out. Cut blue streamers into small squares. The children can glue the squares onto the back side of the raindrop for a watery look. Point out the rhyming words and show that the ending is the same. Away, Day, Play. I'm a mom, a daycare owner, & a preschool teacher sharing ideas & experiences that help make learning a success. Visit Miss Amy's profile on Pinterest.